Keeping in mind ever-evolving requirements of our valuable clients, we are offering an exclusive range of Hydro Extractor. This hydro extractor is suitable for removing water and moisture content from textile based products after washing to assure ease in drying. 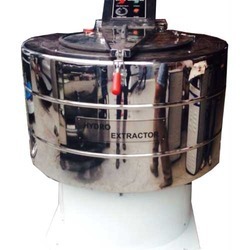 Our hydro extractor is comes in several models & other specifications as per the requirements of clients. As well, the offered hydro extractor is widely in use in textile industries for drying various materials. This Machine is made of fully tested stainless steel AISI grade 304 except for the bottom frame which is hot dipped galvanized iron and epoxy coated for longer life. The perforations in the basket are specially punched and embossed in CNC Machines. It has a manual control panel. Automatic forward and reverse rotation. 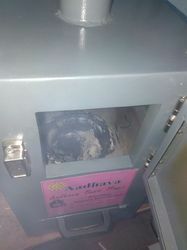 · Complete burning of napkins only less than 5% ashes per Napkin is generated three stage computer programmed Control of Sensor, Thermostat and timer gives long life for Heater and reduce the electricity bill.